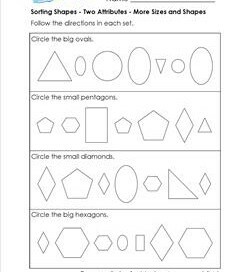 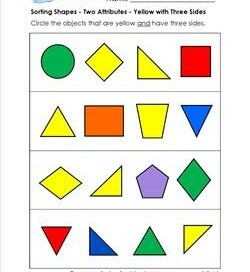 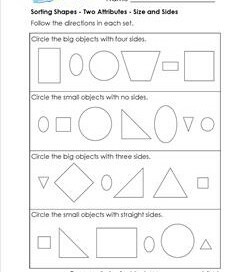 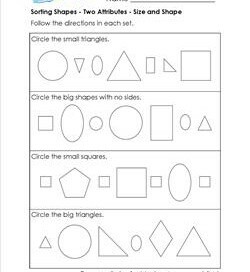 These sorting shapes with two attributes worksheets include the basic shapes of circle, square, triangle, and rectangle as well as pentagons, ovals, hexagons, and diamonds (also called rhombuses). 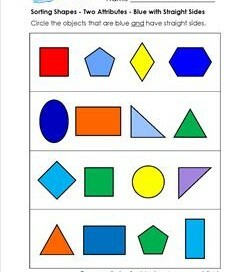 Look for two attributes on each page which may include shape, size, color, types of lines, and number of corners. 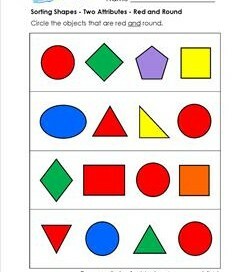 For example, circle the yellow shapes that have three sides. 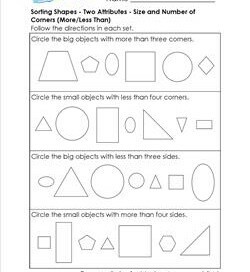 Or, circle the big objects with less than four sides. 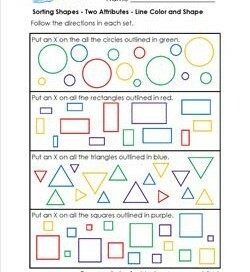 Color ink is required for some of these worksheets. 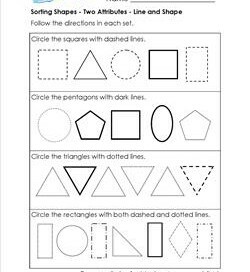 Please go this page to see all the first grade geometry worksheets on this site.